Get some advice on Digital Marketing! Preparing a bulk email campaign is not something that you should take lightly as there is a danger of them ending up as spam, that said, it is possible to send mass mailings without being classed as a spammer. Here we are going to give you some easy to follow tips that will help you do just that. To do this, you must first respect the current law and remember that even though they are bulk mailings each recipient is an individual person and each will be expecting you to offer them interesting and valuable content. Always work with an up to date and properly segmented database. Companies send hundreds of thousands of emails marketing campaigns every day aimed at converting subscribers on their marketing lists into customers. Your messages should always be relevant. If you are in any doubt, revise and analyse everything from the content of the text to the audio-visuals in order to guarantee that the person receiving the message will definitely be interested in it. Don’t forget to include a visible un-subscription link, as it doesn’t make much sense to continue sending emails to users who aren’t interested in them. Not only is there a risk that your emails will end up in the user´s spam box but also that it’s also an investment with no return, which is worse. If users don’t want to continue receiving emails then it is better for them to have an option to easily remove them-selves. Always think about the users and if there are a lot of un-subscriptions ask yourself why, take a look at the content you offer and adapt it to your audience. Even though it is possible to send certain messages through normal email channels, that said, when the starting point is sending a high number of messages all at once the disadvantages of these channels becomes obvious, therefore you must have a professional platform in order to send bulk mailings the right way from the very beginning. All of the professional platforms out there are designed to legally send thousands of emails in one go, they work with high quality Internet providers to ensure the mailings are sent, they offer statistics and support to resolve an issues that may arise and, above all, they allow you to make the right decisions to help make your Email Marketing campaigns more effective. There are dozens of Email Marketing platforms on the market but we highly recommend that you try MDirector the Email Marketing platform brought to you by Antevenio. 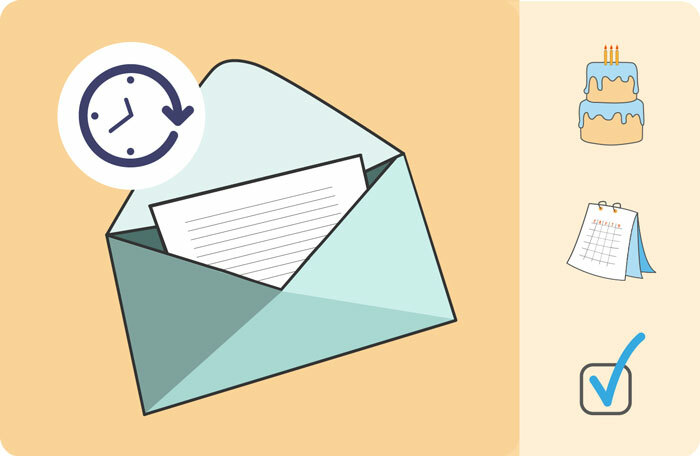 How can MDirector help you send bulk mailings? Gallery of Email Marketing templates. MDirector offers its users free access to a wide range of Email Marketing templates that have been specially designed to work in every kind of business sector, on both desktop and mobile devices. Analysis and Reports of your campaigns. With MDirector’s state of the art reporting system you can see the opens, clicks, unsubscriptions, bounces, and purchases from whichever device or browser opens your emails… All of this will help you to optimize your campaigns. A/B testing to optimize your campaigns. If you want to improve the results of your campaigns then you have to run tests. With A/B testing you can check which creative or title works best and then MDirector will automatically prioritize the best results and send them. Manage unsubscriptions and bounces automatically. The state of the art reporting system provides detailed reports on the unsunscrptions and bounces of each campaign through simple graphical displays which gives you a lot of useful information about the feedback from your users. In addition you will also be able to export all of the information related to the management of the unsubscriptions and bounces to other formats. Simplify your life by sending automatic emails. Automatically send your leads and customers birthday wishes. Viralization of Email Marketing campaigns on social networks. Deliverability of your emails. More and more ISP’s and providers are making it harder for your emails to be delivered to your customers’ inbox. The Antevenio group and MDirector have extensive experience working on maintaining the communication channels with the main ISP’s and email providers since 2001. Integrate MDirector with your CRM. Nowadays it is vitally important that a company manages its information in a fast and efficient way and it is even better if this process is automated. That’s why using the MDirector API to synchronize your database and perform all the necessary actions between both applications is something you should consider. Email preview in Yahoo!, Gmail, Outlook,…..
Email Marketing, SMS, landing pages, social and web display with retargeting support in English. Go ahead and carry out your first bulk email campaign by signing up to MDirector and see just how easy it is to reach all of your customers. Try it Today!